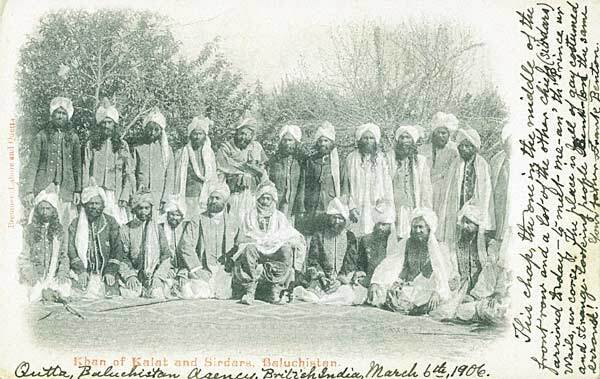 ["Quetta, Baluchistan Agency, British India, March 6th, 1906. This chap, the one in the middle of the front row and a lot of the other chiefs (Sirdars) arrived today - to meet me an' th' Prince of Wails, uv course!. The place is full of gay costumed and strange looking people bent on the same errand!